With the death toll nearing 1,000 and out of control in West Africa, health experts say this Ebola outbreak differs from previous ones. Is it Africa, or the virus that's changed? Why do health-care workers in West Africa find this current Ebola outbreak, the worst ever, so difficult to control? The strain of the virus, the Zaire, is the same one behind most of the previous outbreaks. This is not a case where the virus is any different, says Dr. Richard Olds, a tropical disease specialist. But at least part of the explanation for the current dilemma may be found in how Africa has changed since the first known outbreaks of Ebola in 1976 in the Democratic Republic of Congo and in Sudan. For one, this outbreak is taking place in parts of Africa that are "much more densely populated, much more urban in their nature and those populations are much more mobile," says Olds. Also, "these were populations that had never seen Ebola before." Urbanization, travel and the personal connections that come with economic development appear to have helped the virus spread. 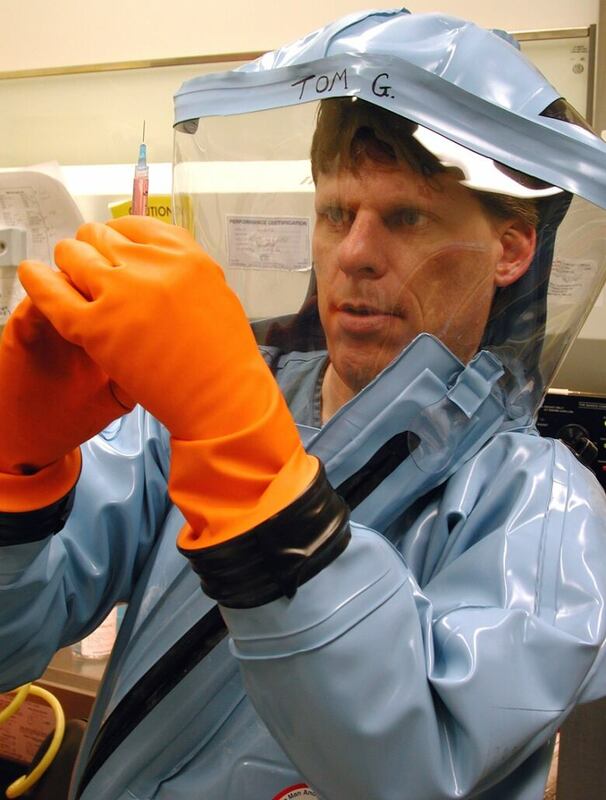 At the same time, a more formidable health-care infrastructure that could go a long way to stopping Ebola before it reaches outbreak status has not kept pace, and without that, Olds says, Ebola is "a little like Russian roulette." Also setting this outbreak apart is what's happened after the point at which past outbreaks would have ended. In the past, "typically there's been a spike and then it drops off," to zero, microbiologist Tom Geisbert says. But for some reason that has health officials mystified, this particular outbreak didn't follow the pattern. It looked like it was going to, mind you, at least until late May. When the World Health Organization issued its situation report as of May 18, it projected that the Ebola "outbreak could be declared over on 22 May 2014." That was in reference to Liberia, where there had been no new confirmed cases since April 9. 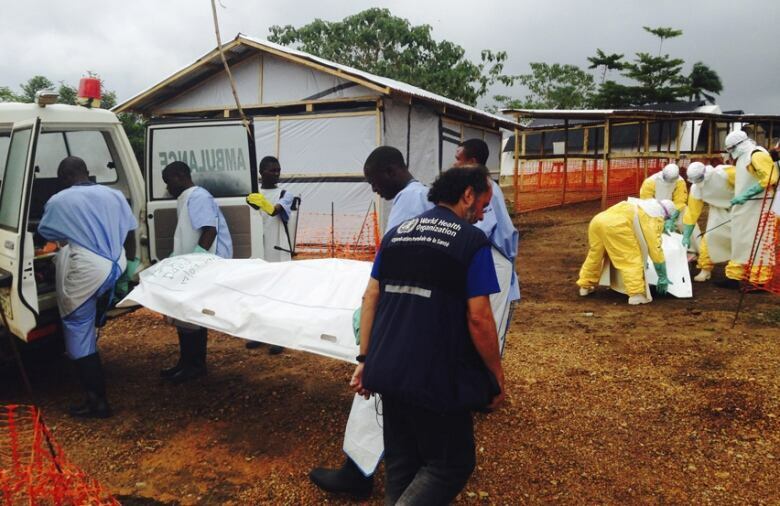 The situation was also stable in Sierra Leone and improving in Guinea, where the outbreak began in March. But then the number of new cases again began to move higher, and in July spiked sharply upwards. By early July, WHO was already saying the outbreak was out of control. And it was Liberia that has had the most new cases, according to the latest WHO update. In the seven days ended Aug. 6, there were 339 new cases (confirmed, probable or suspect), 163 of them in Liberia. 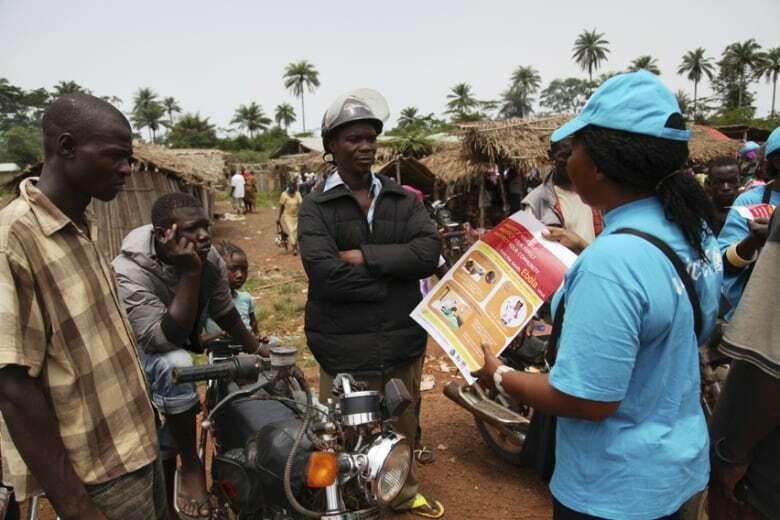 There have now been at least 1,779 cases and 961 deaths from Ebola in West Africa. On Thursday, Liberia declared a state of emergency to fight the virus. Fewer than 24 hours later, WHO declared the outbreak is a "public health emergency of international concern" at a press conference held in Geneva, Switzerland. Geisbert, one of the top experts on Ebola, says he isn't certain why the number of cases spiked again. "This outbreak has been very different compared to any Ebola outbreak in the past, and so we don't really have much historical perspective." Geisbert, who researches Ebola at the University of Texas Medical Branch in Galveston, says that what sets this outbreak apart from previous ones, and makes it "incredibly hard to control" is that this time around, it has taken hold over a large geographical area and three countries. That means "you've spread the resources and the expertise to combat it really thin," he explains. Adding to the problem, a number of the doctors and other medical staff treating Ebola patients succumbed to the virus themselves, including Sierra Leone's top Ebola doctor, Sheik Umar Khan, who died last week. 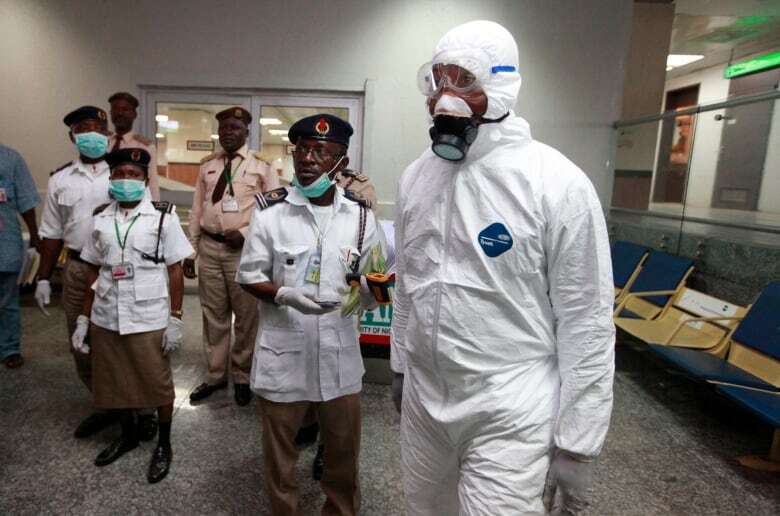 In Nigeria, it’s suspected that at least eight health-care workers have been infected as a result of treating Patrick Sawyer, a Liberian official who flew from Liberia to Lagos, Nigeria's largest city. Sawyer died July 25 and one of those workers, a nurse, has also died. Add to that the spread of the infection to urban areas, which didn't happen in past outbreaks, and the challenge of isolating the sick and tracking people who had contact with them grows exponentially. Geisbert says Ebola in large, urban areas is a worst-case scenario because of how difficult it becomes to contain. For example, in Conakry, Guinea's capital, there have been at least 95 suspected cases of Ebola. In past outbreaks, national health departments and aid organizations, especially Doctors Without Borders, would go in, and the homes of infected individuals or sometimes an entire village would be placed under quarantine and Ebola would soon die out. Ebola is spread by bodily fluids but only when the infected person displays symptoms, which include fever, vomiting and diarrhea. Over half the people who get the disease die. "Generally the epidemic burned out after two or three transmissions through humans because appropriate public health and isolation techniques took place," says Olds. But with this outbreak, aid groups such as Doctors without Borders have said they are "stretched beyond capacity." In response to WHO's emergency declaration, Doctors without Borders criticized the international response and stated, "all of the following need to be radically scaled up: medical care, training of health staff, infection control, contact tracing, epidemiological surveillance, alert and referral systems, community mobilisation and education. “Lives are being lost because the response is too slow," they added. The U.S. Centers for Disease Control and Prevention says it is sending 50 additional disease control experts to West Africa. Thirty-one are there now. One challenge the international assistance effort has to confront is the mistrust of the local population, including a belief that they are the ones spreading the virus. Olds gives this scenario: "A loved one goes into some green tent, with people in space suits that don't look like Africans, and never comes out again; that is an environment that breeds a lot of suspicion and stories that are very counterproductive to the efforts of public health." Noting that the initial response was not enough to stop the epidemic, Olds says that "the farther this spreads, the more time, energy and human lives are going to be lost. Don't wait for this to get any worse." He says there needs to be more of an international and national effort if the outbreak is to be halted, and that includes anthropologists, sociologists and religious leaders and teachers that have credibility in the countries affected. The governments of Guinea, Liberia and Sierra Leone have already stepped up their efforts to contain the disease. Education campaigns are underway to counter traditional beliefs and customs. But sometimes health-care workers still get attacked when they try to go into a community. "Communities are in denial that this virus can kill people," Jean-Pierre Taschereau, a Canadian leading the Red Cross response to the West Africa Ebola outbreak, told CBC Radio's The Current. "As more cases appear, there's an increasing fear and resistance to outside intervention, so it's hampering our efforts," he added. Last week Reuters reported on a demonstration outside the hospital in Kemena, Sierra Leone, the country's main Ebola hospital, which was under police guard. "Thousands had gathered outside the clinic the day before, threatening to burn it down and remove the patients," Reuters reported. "Residents said police fired tear gas to disperse the crowds."